In an earlier post, we gave you the scoop on the best-selling pickup trucks of 2015. This year, in particular, was a great one for pickups, with new versions and updates made by major brands, nearly across the board. 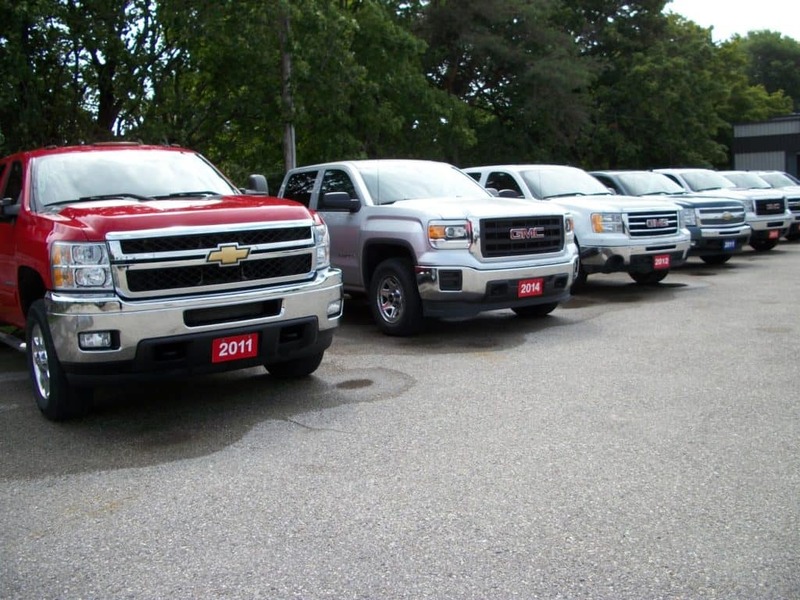 If you are currently seeking out reliable used trucks for sale, Albany, NY residents can rely on this list of solid options from the 2015 model year. Whether you are a Chevrolet brand loyalist, prefer Ford, Honda, or Toyota – there is a capable pickup waiting for you to purchase down the road at DePaula Used Cars. While most of the country leans heavily toward Chevy or Ford for their pickup truck purchases, most of those shoppers aren’t even aware that other brands offer capable pickups as a part of their lineups. As strange as it may seem to stray from the big name brand trucks, it is worthwhile to explore all eight of these top selling pickups when considering a pre-owned purchase. Without further ado, let’s go down the list of top selling pickups from the 2015 model year so that you can better determine which one may be the right choice for you as you begin your used truck buying journey. 2015 Ford F-Series: 2015 was a popular time to get behind the wheel of a brand new pickup from Ford, as the F-Series was completely redesigned for its thirteenth generation. The general structure of the truck was unchanged in terms of dimensions, but the pickup lost over 750 pounds of curb weight in order to deliver an exceptional EPA rating. Ford accomplished this by largely utilizing aluminum for the building structure of the F-150; high-strength steel was previously used. Other changes to the 2015 F-150 included a new base engine – the 3.5-liter V6, as well as a brand new 2.7-liter EcoBoost twin-turbo V6 option. The 2015 F-150 was the first pickup to ever integrate adaptive cruise control, which was a major step forward for this particular vehicle segment. The upgraded cruise control wasn’t the only upgrade in technology to the 2015 Ford pickup truck. The brand also included Bluetooth connectivity, heated rear seats, wood grain interior trim, and a household power outlet. With the ability to tow more than 11,000 pounds, the 2015 Ford F-150 is the perfect light-duty pickup for buyers who want more out of their trucks. 2015 Chevy Silverado: After undergoing an extensive redesign in 2014, the 2015 Silverado remained relatively unchanged from the outgoing model year. The light-duty Silverado 1500 has the capability to tow upwards of 12,000 pounds and offers a base 4.3-liter V6 engine that is capable of producing a horsepower rating of 285. For those who want more pick up from their pickup trucks, the available 6.2-liter V8 engine boasts a horsepower rating of 420. The 2015 Silverado did not incorporate adaptive cruise control just yet, but the capable and dependable truck did offer forward collision warning, lane departure warning, and front/rear parking sensors. All of these advanced safety technologies can be found on pre-owned versions of the 2015 Silverado 1500, making it a highly sought-after used truck. Buyers can opt for a regular cab, double cab, or crew cab body styles, further cementing the adaptability of this large light-duty pickup truck. 2015 RAM Truck: The 2015 Ram 1500 pickup did not undergo any major revisions, but it still managed to grab third place, as one of the best-selling trucks on the market that year. The Ram 1500 base 3.6-liter V6 engine is capable of producing up to 305 horsepower, while the 5.7-liter V8 offers a horsepower rating of 395. Similar to the Ford F-Series, the 2015 Ram 1500 can tow up to 10,000 pounds – which is more than respectable for a light-duty pickup truck. The Ram 1500 was made available in a variety of trim levels, ranging from basic necessities to extravagant luxuries. Whether you need a powerful work-ready truck or a pickup that is geared more toward the finer things in life, a pre-owned Ram 1500 from 2015 just might be the perfect truck for you. 2015 GMC Sierra: The GMC Sierra is the near-identical twin to the Chevy Silverado, both of which are manufactured by General Motors. Just as the Silverado underwent an extensive redesign for the 2014 model year, so did the GMC Sierra. Despite this fact, the 2015 Sierra gained 4G LTE Wi-Fi connectivity, the latest OnStar system upgrade, and a new eight-speed automatic transmission as standard on models equipped with the powerful 6.2.-liter EcoTec3 V8 engine. The 2015 Sierra can be found in exceptional used condition, with features such as heavy-duty shocks, heated seats, parking sensors, and more. The standard model came with a capable 4.3-liter V6 engine, which delivered 285 horsepower and 305 lb.-ft. of torque. 2015 Toyota Tacoma: Toyota has been producing the Tacoma for quite some time, and keeps things relatively simple in terms of cab and bed options. The 2015 Tacoma was offered with either an Access cab which included two rear-hinged doors, or a Double Cab, which featured four full doors and a larger interior cabin. Base models came with a 2.7-liter engine capable of producing 159 horsepower, with a slew of other model options available for 2015. A new TRD Pro Series trim was introduced for the 2015 model year and features a bulkier body, an off-road suspension, wheels, and all-terrain tires. Also, new for the 2015 Tacoma, was an optional Utility Package, which removes the rear seats and replaces it with increased storage capacity. As the fifth best-selling pickup truck in America for 2015, the Tacoma may not be the first truck that comes to mind, but it is certainly one that is worthy of consideration. 2015 Toyota Tundra: The sixth best-selling pickup in 2015 also happens to be from the Toyota brand. The Tundra was the first pickup truck to join Toyota’s lineup and has been a successful seller ever since. The 2015 Tundra remained relatively unchanged from 2014, but the brand did drop the V6 engine option and added the same TRD Pro trim level package offered on the Tacoma that same year. The Tundra is a sleek looking pickup, with up to four full doors, a large interior cabin, and enough capability to get light-duty jobs done easily, with little effort. Just as the Tacoma may not have been on your radar for used trucks to buy, the Tundra likely was also absent from your consideration. Regardless, both of these trucks are reliable, capable, and worth checking out used, today. 2015 Chevy Colorado: Not only was the Colorado completely new for the 2015 model year, it also managed to snag the title of Truck of the Year from Motor Trend magazine. The 2015 Colorado is a mid-size light-duty pickup truck, which is essentially a compacted version of the larger Silverado model. The 2015 Colorado came standard with a 2.5-liter 200-horsepower engine, while the most capable engine block delivered 305 horsepower and could tow up to 7,000 pounds. Just as the Colorado is smaller in size to the Silverado, so is it smaller in cost. For buyers who want a fully-loaded, capable pickup truck, but don’t need the higher performance numbers and space, the Colorado is the perfect option. 2015 Nissan Frontier: The Nissan Frontier is an unlikely candidate for a spot on the best-selling pickups from 2015, but it makes the list, nonetheless. Also a midsize pickup truck, the Frontier is unlike any other pickup truck on the market. With a sportier, more rounded look than some of its competitors, the Frontier is the pickup truck for buyers who want to stand out from the crowd. Offered in five different trim levels, there are multiple variations on the road, and on used dealership lots for sale. This midsize pickup truck came with one of two engine options in 2015, the base 2.5-liter 152-horsepower engine, or the 4-liter V6 block capable of producing a 261 horsepower rating. If you aren’t in need of heavy duty specs, and prefer a truck that is more budget-friendly in nature, then you might find perfection in the purchase of a pre-owned 2015 Frontier.